Did Divine Intervention Fell Ariel Sharon? In January 2006, when Israeli prime minister Ariel Sharon had a stroke, permanently incapacitating him, the American evangelical leader Pat Robertson attributed Sharon's medical condition to divine intervention resulting from Sharon's withdrawal from Gaza a few months earlier. The book of Joel, the prophet Joel, makes it very clear that God has enmity against those who, quote, "divide my land." God considers this land to be his. You read the Bible and he says "this is my land," and for any prime minister of Israel who decides he is going to carve it up and give it away, God says "No, this is mine." Here, he's at the point of death. He was dividing God's land. And I would say, woe unto any prime minister of Israel who takes a similar course to appease the E.U., the United Nations or the United States of America. God says, "This land belongs to me." You better leave it alone. 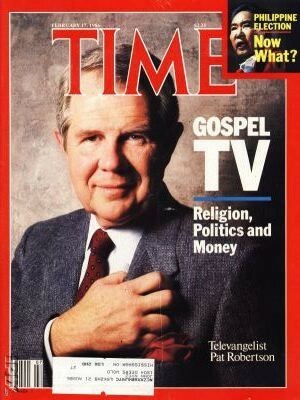 Pat Robertson, leading American evangelist. These remarks drew criticism from many sources, ranging from the Union of Orthodox Jewish Congregations of America to the Anti-Defamation League to the People for the American Way ("Once again, Pat Robertson leaves us speechless with his insensitivity and arrogance"). The White House spokesman called the comments "wholly inappropriate and offensive." The Israeli government came down hard on Robertson, raising doubts about going through with the US$50 million Christian Heritage Center planned for the northern Galilee. Ido Hartuv, spokesman for Tourism Minister Avraham Hirschson, said "We will not do business with him, only with other evangelicals who don't back these comments." My concern for the future safety of your nation led me to make remarks which I can now view in retrospect as inappropriate and insensitive in light of a national grief experienced because of your father's illness. … I ask your forgiveness and the forgiveness of the people of Israel. There are those who connect Sharon's health condition to the disengagement plan from Gush Katif and northern Samaria and they see it as a punishment. Do you think so? 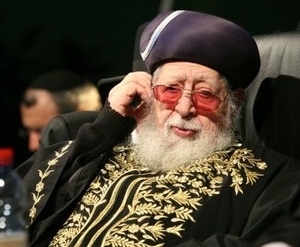 Dec. 22, 2011 updates: One reason for the many Israelis who thought this way after the Gaza withdrawal: Ovadia Yosef, the eminent rabbi and spiritual leader of the Shas political party, virtually predicted his stroke. "How cruel is this evil man, for doing things like this ... God will strike him so he will never rise again."